Reason It Was Shelved: The Commission looked like a strong possibility from 1996-97, but Biggie's life was tragically taken away before an album could ever be finished. Jay-Z and the other members of the clique - Diddy, Charli Baltimore, Lil Cease, and Lane "Un" Rivera - all went their separate ways. Why We'd Kill To Hear It: A hip-hop supergroup's album doesn't always equal a classic; just look at The Firm. 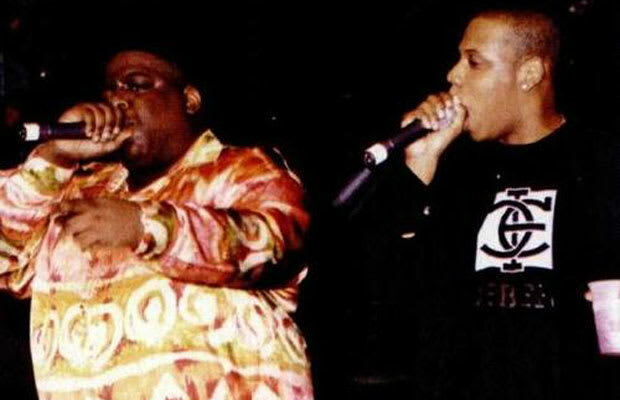 However, we've how devastating of a combo Jay-Z and The Notorious B.I.G can be. Listen at their chemistry on the classic "Brooklyn's Finest," bling-flaunting "Love the Dough," and cojones-toting "Young G's." How can a whole album's worth be anything but amazing?